High speed internet has become a necessary commodity in our global technological world. Fortunately, Reidsville residents have multiple high speed internet options through Carolina Connections. We are your one-stop shop for broadband. By partnering with several leading internet providers in Reidsville, we’re able to bring your internet up-to-speed and with-the-times. In today’s world, internet can be accessed in a number of ways–via DSL, cable, satellite, wireless, or fiber optic networks. The way you can access it depends on where you live and what options are available in your area. With Carolina Connections, you’re not just limited to one choice–we offer several different options through local internet providers. The choices can be overwhelming, but not to worry–we’ll help you sort through the options and select the right one for you. 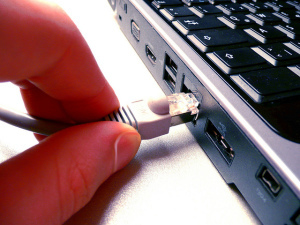 When you select broadband, you’ll want to evaluate how much speed you need. Our packages provide speeds up to one gig–all at affordable prices. Whether you only need basic broadband for email and browsing or you need a high-powered package for your business needs, we’ve got just the right package for you. Additionally, you’ll need to assess how many devices (computers, smartphones, tablets, etc.) will be accessing your broadband at the same time. An American household has an average of 5.7 connected devices. Don’t let your avid YouTuber’s uploads detract from your ability to watch your favorite movie. Get an internet service that can handle the whole family’s activities at once. Not only are we committed to providing you with outstanding internet service, but we’re also dedicated to friendly, personal service. Better yet, we’re local. It doesn’t get better than that. Don’t get left in the last century with slow internet. At Carolina Connections, we’d love to help you evaluate internet providers in Reidsville and select the best service for you. Contact us today to take your internet to the next level!